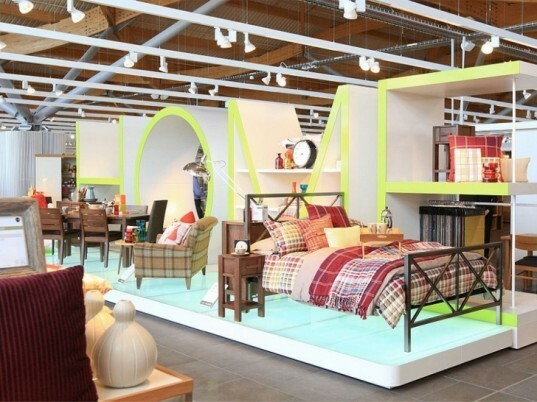 One of UK’s biggest retailers Marks & Spencer just opened a store on the outskirts of London – and even though it is the chain’s largest retail location it has managed to attain a BREEAM “Excellent” rating. Designed by architect Aukett Fitzroy Robinson (AFR), the 18,100 meter-square building sets a high standard of sustainable building in the retail sector. The intriguing ‘wave’ style roof is designed not just for its aesthetic value—it is constructed from over 1400 m³ of 100% FSC-certified, curved Glulam timber beams. The roof features north-facing skylights which together with strategically angled cedarwood Brise Soleil on the sides of the building maximizes the best use of indirect natural light, a factor uncommon in a retail environment where the focus is almost always on intense artificial lighting. An interesting aspect—which further cements the sustainability aspect of the building—is the use of Hempcrete in the walls, which is comprised of hemp and lime and acts as an extremely efficient insulator, while also allowing the building to breathe and absorb carbon from the atmosphere. It is not the end result which is sustainable, but the entire construction process was designed to minimize its carbon impact. Components were prefabricated in order to minimize waste and maximize repetition, with options to encourage the recycling of materials at the building’s demolition. ­A pat on AFR’s back, the M&S store stands as a holistic example of sustainable architecture. 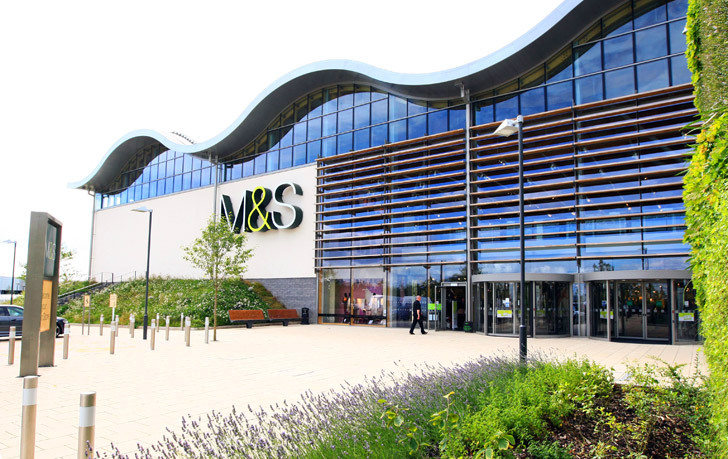 One of UK’s biggest retailers Marks & Spencer just opened a store on the outskirts of London - and even though it is the chain's largest retail location it has managed to attain a BREEAM “Excellent” rating. Designed by architect Aukett Fitzroy Robinson (AFR), the 18,100 meter-square building sets a high standard of sustainable building in the retail sector.